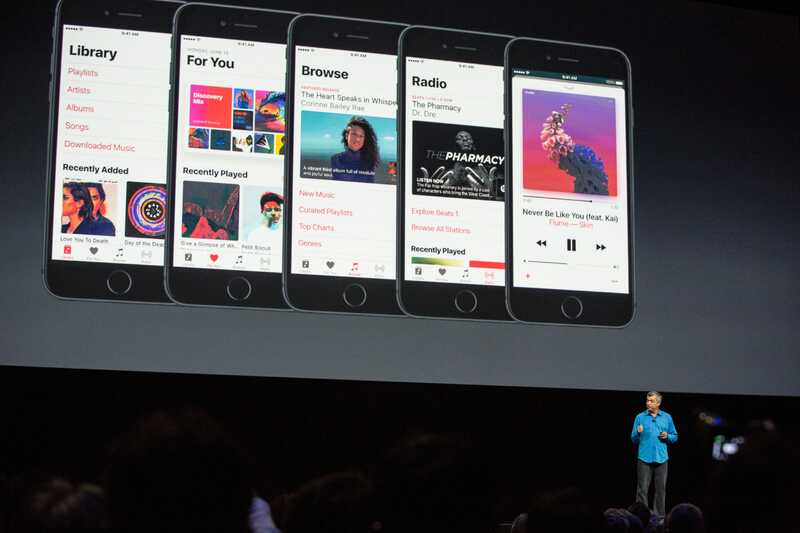 On Monday, Apple announced a big redesign of its year-old Apple Music app. The update seems like a response to critics, many of whom have blasted Apple Music for being needlessly confusing and difficult to use. Early responses to the changes (on Twitter) have been positive, but that’s not the only good news for Apple. The company also announced that Apple Music had 15 million paying subscribers. This number is well behind Spotify’s 30 million (as of March), but it’s significant for one big reason: it reverses a recent downward trend in the pace of user growth. The chart in Dawson’s tweet shows that since Apple Music’s initial launch, the amount of subscribers it was adding every day had been trending down. That seems to have changed since April. And if the public’s reaction to Apple Music’s redesign is as positive as the initial buzz, that upward trend could continue. The app’s redesign has big, bold, black text, white backgrounds, and larger album art. The music library is redesigned for easier navigation. A “recently added” section will show new music. A new section called “Downloaded music” will hold all music purchased by users. Lyrics will show up while songs are playing. The “new” tab will be dropped and replaced with a “Browse” tab designed to make it easier to find new music. The “For You” tab has a discovery mix to help you find new music, daily curated playlists tailored to you, and recently played songs. New 3D Touch functionality will make it easier to preview tracks and share music on social media.